Bruce the bear likes to keep to himself. That, and eat eggs. But then his hard-boiled goose eggs turn out to be real, live goslings and they are convinced he's their mother. 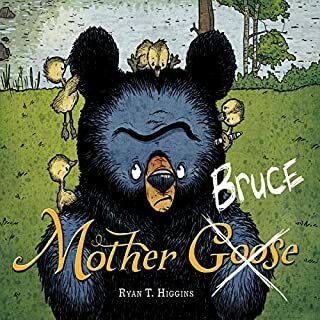 Bruce tries to get the geese to go south, but he can't seem to rid himself of his new companions. What's a bear to do? For Mom’s birthday, her kids are excited to teach her how to take selfies with her new smartphone. At first, it’s lots of fun for the whole family. 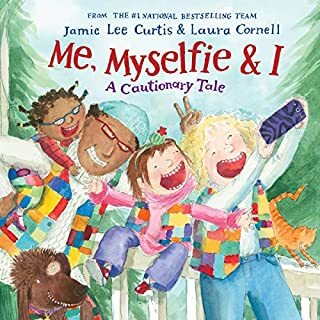 Soon, driven to take the perfect selfie, Mom begins to document everything, from ski team practice to dance class, and even photo-bombing someone's wedding - until her daughter reminds her that maybe this smartphone wasn’t the best gift after all. 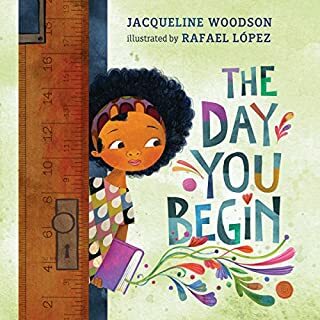 National Book Award winner Jacqueline Woodson has created a poignant, yet heartening book about finding courage to connect, even when you feel scared and alone. There are many reasons to feel different. Maybe it's how you look or talk, or where you're from; maybe it's what you eat, or something just as random. It's not easy to take those first steps into a place where nobody really knows you yet, but somehow you do it. Jacqueline Woodson's audiobook reminds us that we all feel like outsiders sometimes - and how brave it is that we go forth anyway. With the addition of a baby sister, Peter faces growing up. When Penny spots a marble in Mrs. Goodwin's front yard, she picks it up, puts it in her pocket, and takes it home. It's a beautiful marble - it's big, shiny, blue, smooth, and fast, and Penny loves it. But does the marble really belong to Penny? What do you think will happen? Camilla Cream loves lima beans, but she never eats them. Why? Because the other kids in her school don't like them. And Camilla Cream is very, very worried about what other people might think of her. In fact, she's so worried that she's about to break out in...a bad case of stripes! Mix together an old witch, her magic pasta pot, and a greedy boy. What do you get? Mischief, wild adventure, and a big helping of fun! All the people in the little town of Calabria go to old Strega Nona for solutions to their troubles. From aching heads to broken hearts - Strega Nona can cure them all. 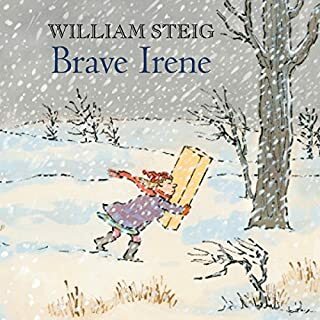 But when she hires a lumbering boy named Big Anthony to help her, Strega Nona’s own troubles begin. 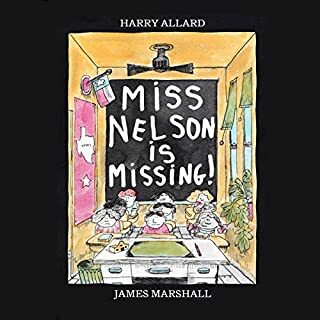 Award-winning children’s author Tomie dePaola offers an original tale that will have listeners of all ages laughing out loud. Leo is a ghost and he wants to be a good friend. 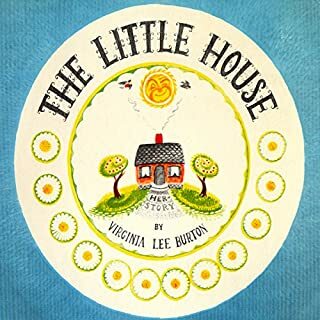 When a new family moves into his home and Leo's efforts to welcome them are misunderstood, Leo decides it is time to leave and see the world. This charming tale of friendship is destined to become a modern classic that will delight children for years to come. A young girl dreams of bringing clean drinking water to her African village. As a child in Burkina Faso, Georgie and the other girls in her village had to walk for miles each day to collect water. 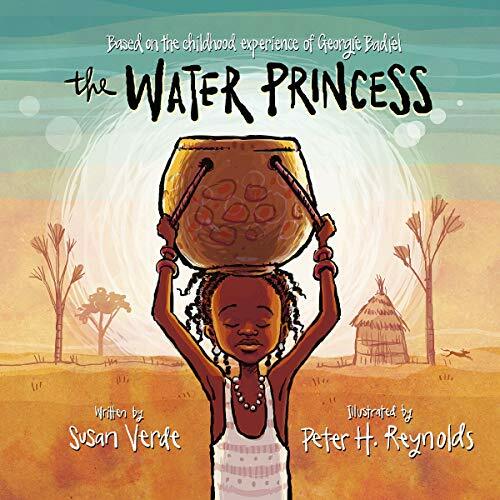 This vibrant, engaging story sheds light on this struggle that continues all over the world today, instilling hope for a future when all children will have access to clean drinking water. ©2016 Putnam Books (P)2018 Weston Woods Studios Inc.